Being an empath is hard. Most don’t understand what you are experiencing and even some of those who have the empath trait are so busy hiding it because they don’t understand their own reactions and are often embarrassed by others when they talk about it. That is an excerpt from a review for Judith Orloff’s The Empath’s Survival Guide. The reviewer nails it with that comment and many more in her review. A very interesting point she made that I’ve echoed many times is that the books shares great information for people to learn whether they are empaths or highly sensitive or just want to learn more about these type of people. Many people in our everyday lives have these abilities – and it can be beneficial for us to understand how they are experiencing the world around us. There is also great information for parents who have empathic and sensitive children. Did you always think you were just overly-sensitive? Maybe busy noisy stores have always bothered you? You may feel alone and strange, but you aren’t. If you feel like this, you need to read Judith Orloff’s book, The Empath’s Survival Guide. Believe it or not, it was written for YOU! There are many people who feel the same way and in this book she helps you understand much more about these strange feelings AND how to deal with them, how to protect yourself and how to understand they are a gift. I’ve been sharing review by people who have been just as confused by these feelings and who have been relieved to read this book. Do you absorb feelings and emotions from the people around you? Do you feel like you’re the only person that deals with this? 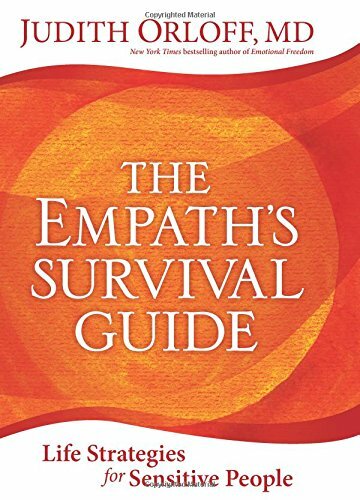 Check out this review of The Empath’s Survival Guide by Judith Orloff to learn much more – and to understand this is actually a gift and not a curse. 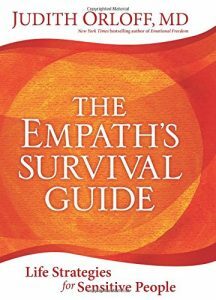 Today, share a review for The Empath’s Survival Guide by Judith Orloff on the New Book Review blog. Its a review shared by a woman who is an empath – that’s a way to find out the nitty gritty of whether this book really gets to the truth of the topic. Talk to a person who is living with this every day and find out how they feel about the information and recommendations offered to Dr Orloff. Are you curious what she said?? What do you do if you feel you’re overly sensitive for no reason? Maybe people tell you to grow a thicker skin. Over time you start to think there’s something wrong with you. There are many people who feel this way – and they have no idea why. 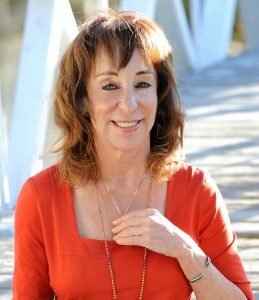 They may be “highly sensitive people” and The Empath’s Survival Guide: Life Strategies for Sensitive People By Dr Judith Orloff could be the perfect gift for them. Dr Susan Corso calls it “life strategies for sensitive people”. That’s how she started off her review for Dr Judith Orloff’s new book The Empath’s Survival Guide: Life Strategies for Sensitive People. She shares her perspective as an empath who has struggled to find her way and how to fit in, in a noisy, busy world. One prime example we can all understand is super Walmart. She gives several examples most people will understand. If this sounds familiar, definitely check this out. I’ve been amazed by the things I’ve learned about my own life through Judith Orloff’s books – and I continue to learn more. A really interesting point Dr Corso makes is that this book also helps the loved ones and friends of empaths and hyper sensitive people understand them more. Is there someone in your life that needs to read this book?